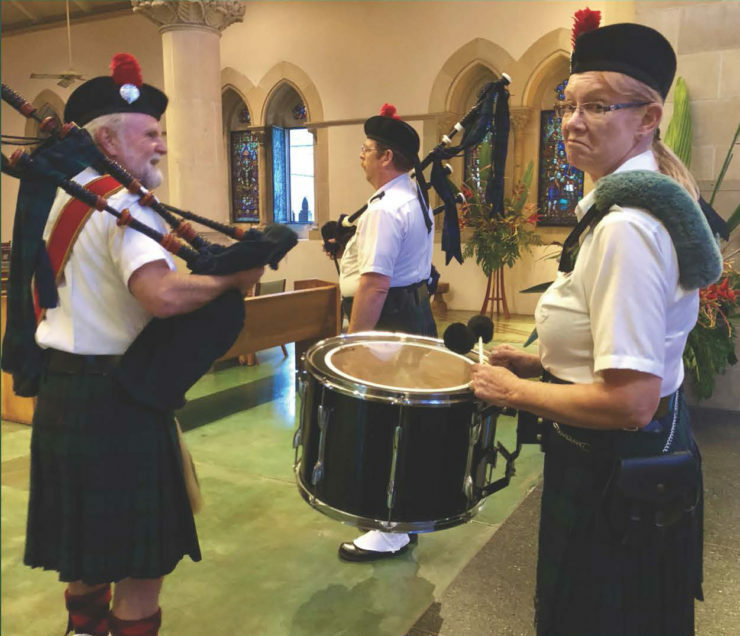 The Saint Andrew Society of Hawaii (SASH) will hold its annual Kirkin’ o’ the Tartans on Friday, November 30, 2018, at 5:30 pm at the Cathedral. The service will include Evensong, with the Cathedral Choir singing a Scottish traditional anthem and service music by Thomas Tallis. A complimentary dinner will follow in the Von Holt Room. There will also be Scottish dancing, bagpipes, awards, prize drawing, silent auction, & more! Following dinner, there will be an investiture ceremony for our new members, during which they will receive their Saint Andrew Society of Hawaii Orders. Wear your kilt or bring a swatch of your tartan should you wish to have it blessed. Business aloha attire otherwise. This event is free and open to the public, with free parking in the church lot. There will be a calabash . Checks should be made to “Saint Andrew Society of Hawaii.”The Saint Andrew Society of Hawaii (SASH) was formed on November 30, 1989 as a non-profit, charitable organization (IRS Code 501(c)3). Its objectives include education, perpetuation of our heritage, charitable service, and Celtic cooperation. If you would like to join SASH, you may join and be invested at this event. Please see our website or email SASHawaii@icloud.com for more information.